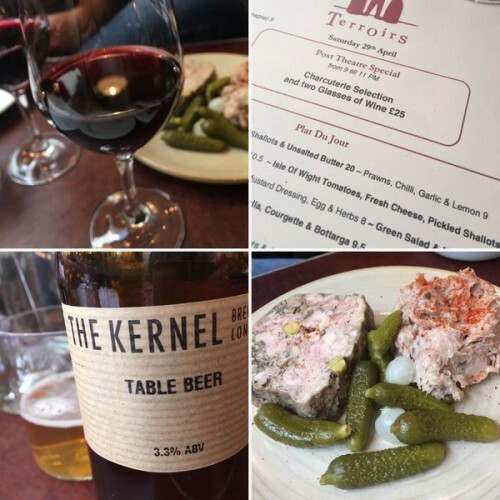 Popped into Terroirs for an early evening bite, and along with beautiful rilletes, pork terrine and Kernel table beer, we had this lovely Gamay. It’s from the Côtes du Forez, which is a small appellation with just a handful of growers and a co-op, located in the middle of France between the Loire and Allier rivers. Just Gamay vines are grown here in the foothills of the volcanic mountains of the Massif Central, and this wine is made from old vines from iron-rich basaltic soils. ay as the sole grape to be used and Verdier-Logel produces separate wines including – from volcanic soils “Volcanique” –and from granite soils “Cuvée des Gourmets“. These soils impart a rich earthy fragrance to the wines which combines well with the elegant fruitiness of the Gamay grape.